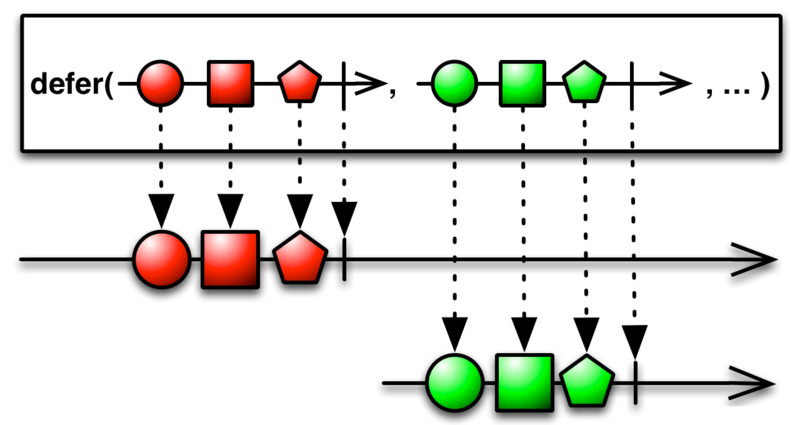 The Defer operator waits until an observer subscribes to it, and then it generates an Observable, typically with an Observable factory function. It does this afresh for each subscriber, so although each subscriber may think it is subscribing to the same Observable, in fact each subscriber gets its own individual sequence. RxGroovy implements this operator as defer. This operator takes as its sole parameter an Observable factory function of your choosing. This function takes no parameters and returns an Observable. defer does not by default operate on a particular Scheduler. There is a somewhat similar operator in the optional rxjava-computation-expressions package (it is not part of the standard RxGroovy set of operators). 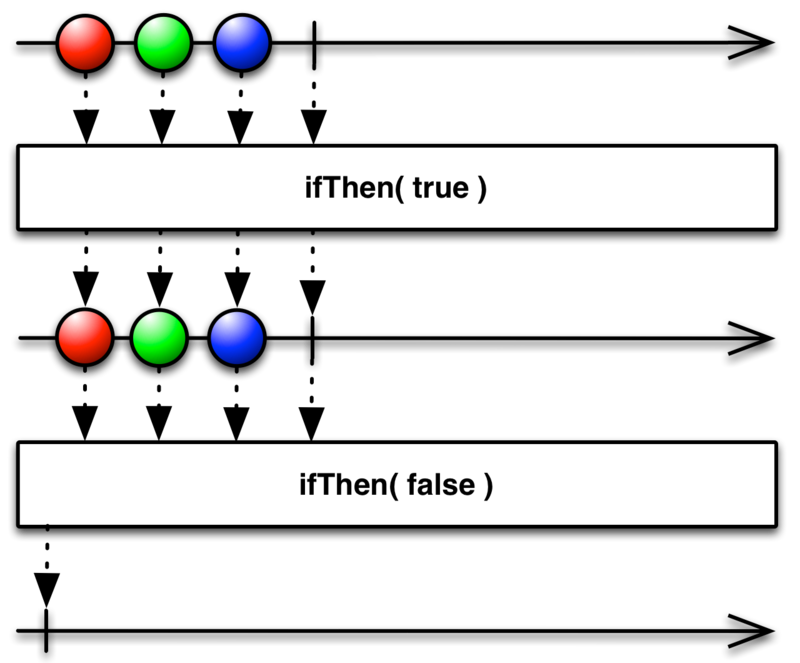 The switchCase operator conditionally creates and returns one of a set of possible Observables. An even simpler operator in the optional rxjava-computation-expressions package (also not part of the standard RxGroovy set of operators) is ifThen. This operator checks a condition and then either mirrors the source Observable or an empty Observable depending on the result. RxJava implements this operator as defer. This operator takes as its sole parameter an Observable factory function of your choosing. This function takes no parameters and returns an Observable. There is a somewhat similar operator in the optional rxjava-computation-expressions package (it is not part of the standard RxJava set of operators). The switchCase operator conditionally creates and returns one of a set of possible Observables. RxJS implements this operator as defer. This operator takes as its sole parameter an Observable factory function of your choosing. This function takes no parameters and returns an Observable or a Promise. RxJS also implements the if operator. 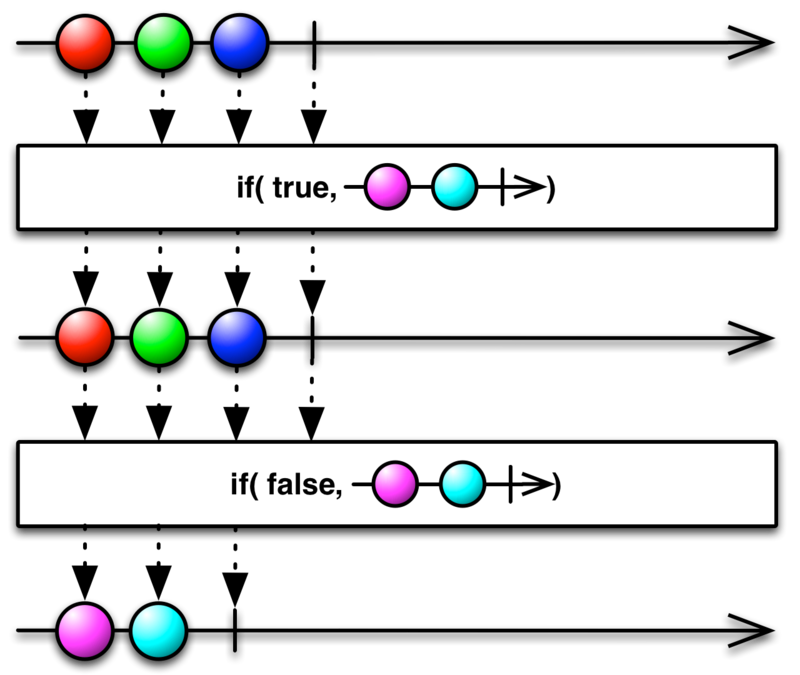 It takes as parameters a function that returns a boolean, an Observable to mirror if that function returns a true value, and optionally a second Observable to mirror if that function returns a false value (if you omit this parameter, if will mirror an empty Observable in such a case). RxPHP implements this operator as defer. Returns an observable sequence that invokes the specified factory function whenever a new observer subscribes.